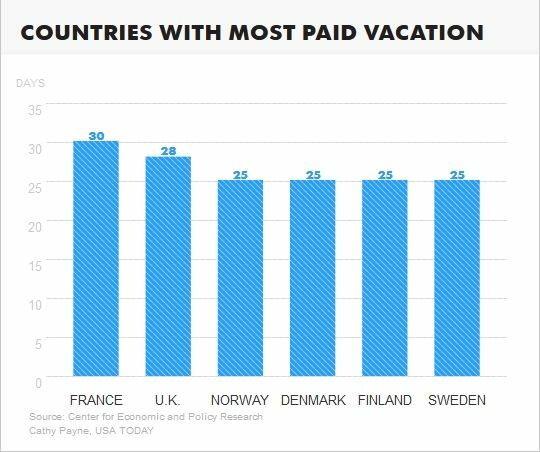 RIGHT SPEAK: Did you know 1 in 4 Americans get no Paid Vacations and no paid Holidays...How are you doing compared to other countries? Did you know 1 in 4 Americans get no Paid Vacations and no paid Holidays...How are you doing compared to other countries? Memorial Day weekend will kick off the summer travel season for many Americans, but some workers won't be able to kick back on a vacation this year. Nearly one in four Americans (23%) has no paid vacation days, according to a report released today by the Center for Economic and Policy Research, a non-profit based in Washington, D.C.
"Relying on businesses to voluntarily provide paid leave just hasn't worked," says report co-author John Schmitt, a senior economist at the center. The report analyzed national and international data on 21 democracies in the Organisation for Economic Co-operation and Development. The group of 21 countries includes 16 in Europe, Australia, Canada, Japan, New Zealand and the USA. 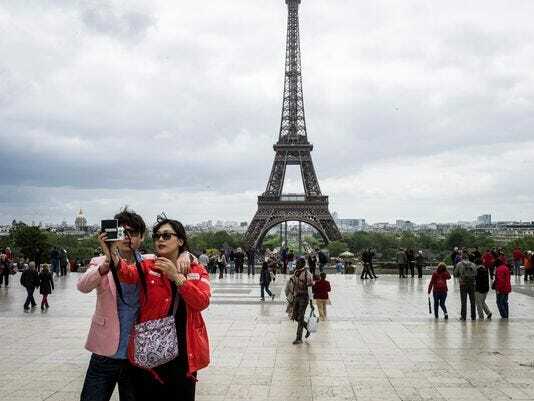 The USA is the only advanced economy that does not require employers to provide paid vacation days, the report says. Many U.S. employers offer paid vacation days and holidays, but no law sets a minimum. Up until 3 weeks ago, I was one of the 23%. But for me it was by choice. I was a contractor. In theory, I'm supposed to make more to cover the lack of benefits I don't receive. In reality, when the company I was contracted to picked me up as a full-time employee, I got a pay raise, plus all the benefits (which are many and very nice).